Has NBN arrived in your area? Is your home available to connect to the NBN? Are you planning to take advantage of the faster NBN internet speed to create a smart home? There are a number of questions that need to be answered when considering moving to the NBN. Should you need professional advice on internet and data cabling for your home, Austec Electrical is available to help you. 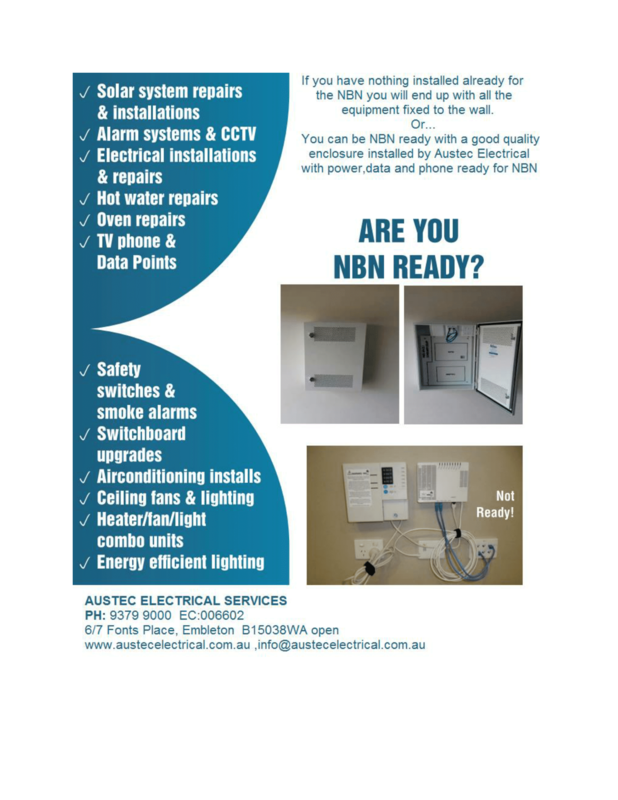 We will help ensure that your home is NBN ready, with a good quality data enclosure to ensure that your power, data and phone connections are compatible and following the NBN specifications.